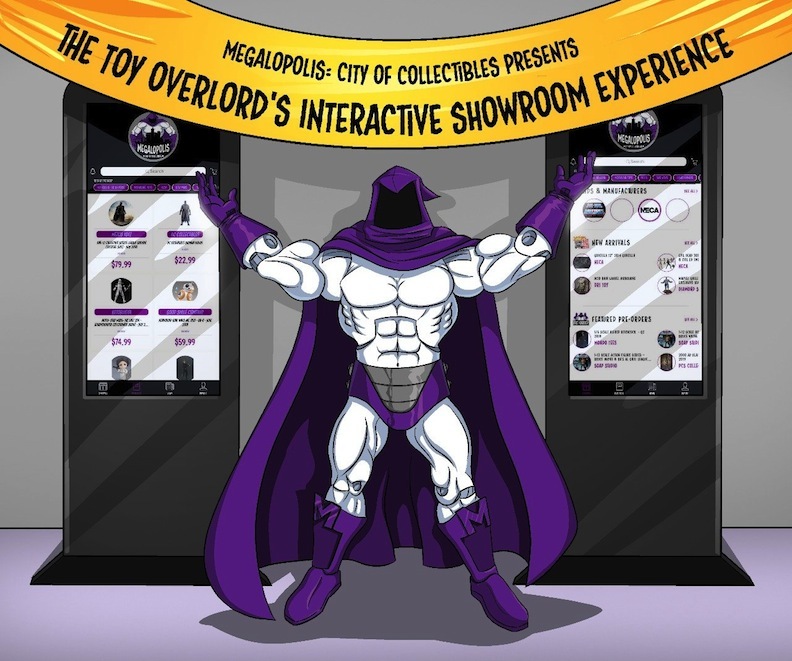 Megalopolis offers a new way to buy and browse collectibles. In recent polls, respondents say they’d rather live in a bustling city than a quiet suburb, preferring noise and overcrowding to crickets and lots of land. 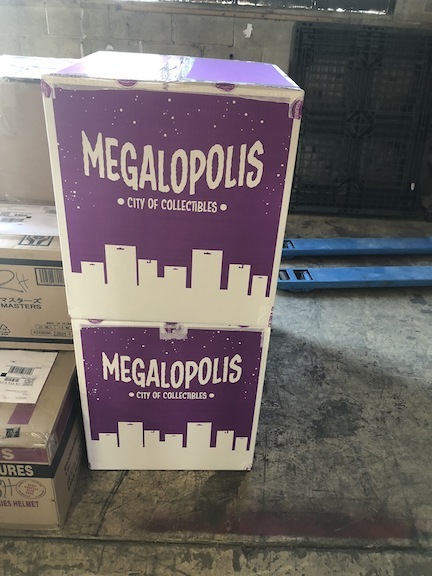 So it makes sense that a new way to buy toys, dolls, action figures, and other collectibles is named Megalopolis. Megalopolis literally means “a large, heavily populated city,” and this cyber concierge service is, likewise, populated by trendy toys, first-rate portrait figures, and funky, fun creations. Megalopolis is a must-see destination for folks who want to shop without leaving home or interrupting their personal schedule. 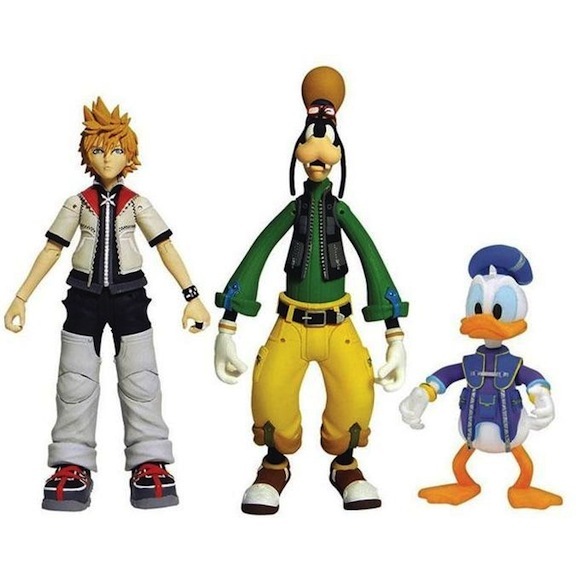 The Kingdom Hearts gang: Roxas, Goofy, and Donald. This trio is available at Megalopolis whenever the buyer wants to browse. I learned about Megalopolis the other day when I was chatting with a public relations director. She explained how this new way to order merchandise is becoming more and more favored by busy professionals. When a person has disposable income as well as tons of socializing choices, heading to a collectibles store or a toy shop is not the way he or she wants to while away after-work hours. Since smartphones now function as mini portable computers (“Star Trek” is becoming more and more a reality), a commuter can browse and buy while riding home on the Metro train or before dozing off in a carpool. New ways to acquire items are one of the innovations that have evolved since cell phones have expanded their versatility and abilities. 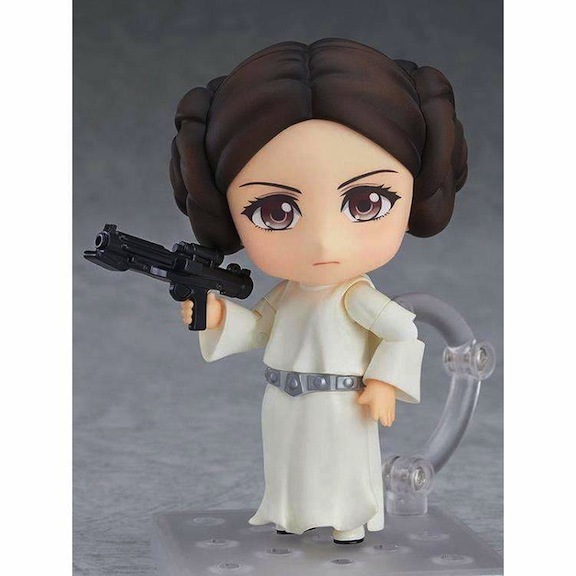 Good Smile Company shows off its in-control, in-demand Princess Leia. Located in South Salt Lake, Utah, Megalopolis first began business in 2014. This year, though, it was relaunched under new management. Brothers Ben and Matt Westover are now guiding and guarding the toy portal. The Westovers are dedicated to locating domestic and imported toys that can be offered to their customers as pre-orders, helping to whet collectors’ appetites. Buying through Megalopolis functions as a measurable stepping-stone that eventually equates as brand loyalty. 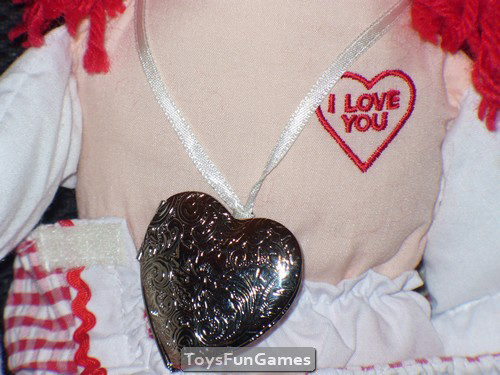 It’s a way to rack up reward points, and to even achieve currency-equivalent store credit for choosing additional dolls. The branded boxes drive home the company’s name. This is a lesson plan that many brick-and-mortar shop owners need to take to heart. Younger people have not grown up in the world of tremendous, physically opposing department stores. While many of us Gen Xers and Baby Boomers can recall being dragged to large stores with our moms — watching a mother find the right bedspread has to be one of the most boring events ever for a child — kids today, and even many grown-ups, have never equated going to a store with buying an item. They have all come to age in the age of the Internet and cyber customer service like Megalopolis offers. 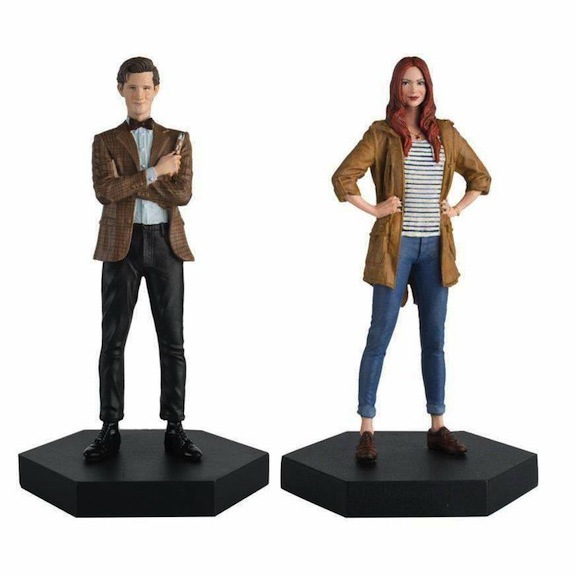 Eaglemoss Publishing’s Dr. Who #11 and Amy Pond companion set. Store owners have to fight a battle against personal, on-one’s-own-clock shopping. Even the most personalized service of a shop proprietor toward a favorite customer cannot rival a collector waking up at 3 a.m. and trolling for a new Troll doll. This is a big dilemma for brick-and-mortar entrepreneurs. The can’t keep their stores open 24/7, but maybe a couple times a month they can do “Moonlight Madness” where they stay open till after midnight. Or, they could perhaps host a “Late Night Soiree” or a “Meet and Mingle,” where customers are invited to “shop till they drop,” letting their registers stay open until after their regular business hours. 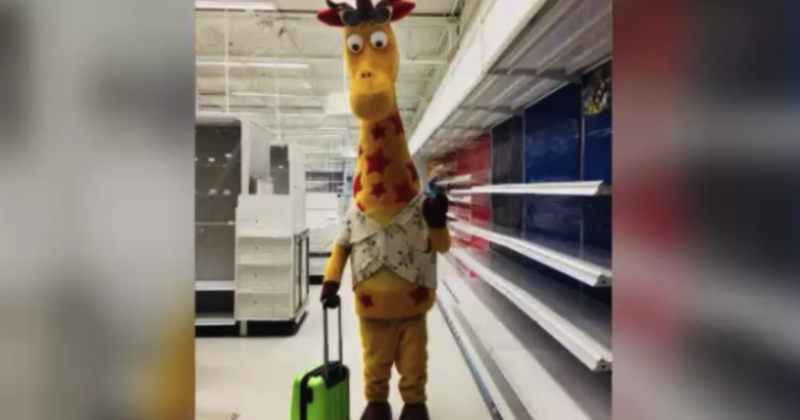 Geoffrey the Giraffe was the iconic mascot of the now-shuttered Toys R Us mega-franchise chain. 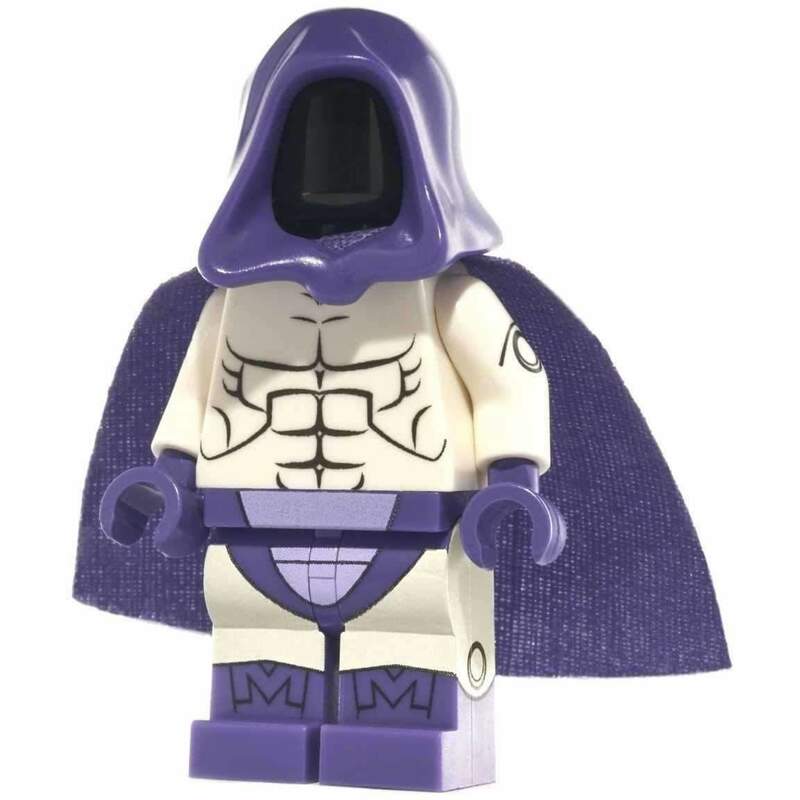 Borrowing a page from the now-defunct Toys R Us, Megalopolis has its own mascot, but its “ambassador of goodwill” is not a friendly zoo animal or a cute smiley pixie. Rather, the Westover brothers, who have collectively more than 30 years as toy-biz professionals (and longer as collectors), have dreamed up their slightly silly Toy Overlord. 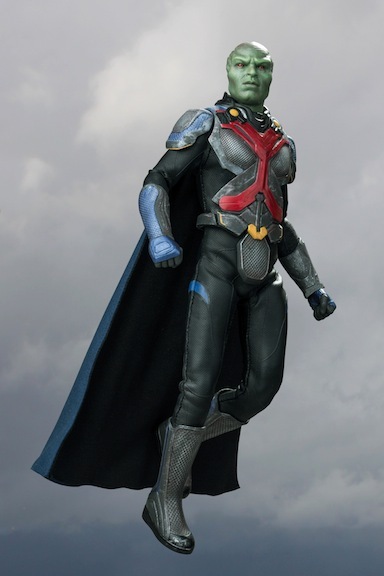 According to the sibling businessmen, the Toy Overlord would normally be a supervillain, but he lacks the gumption to actually get up and carry out any of his evil schemes. Desperate to be loved — and therefore collected — the Megalopolis Toy Overlord is described as an “insecure narcissist.” The Westover brothers explain: “All his deeds stem from a need to be loved. He does plenty of good for customers, as a result. The Mega Rewards Loyalty Program is his creation, and each iteration of the newsletter, which is loaded with deals and value, is penned by him.” The loyalty program is three-tiered, with Bronze, Silver, and Gold levels. A customer’s first purchase instantly rewards them with bronze status. Silver Tier ties in with 10,000 reward points; Gold Tier with 22,500 reward points. As we all can see, the world of collectibles is expanding. Different companies release unexpected properties every day of the week. Licensing opportunities are found in the most bizarre places. 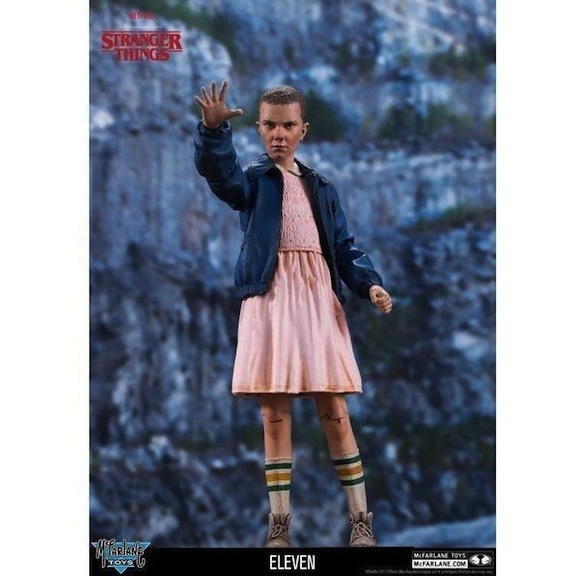 (Have you ever seen so many horror franchises translated into collectible portrait dolls?) Megalopolis has figured out a way to blend contemporary technology with current collectible trends. It will be fascinating to see if more shop owners broaden their own e-commerce sites in future, keeping their stores open longer, maybe waving good-bye to the idea of keeping 9 to 7 business hours — after all, customers can’t shop while they are at work. Maybe noon to 10 p.m will become the norm for brick-and-mortar outlets. Or even, once a month, noon to Midnight. 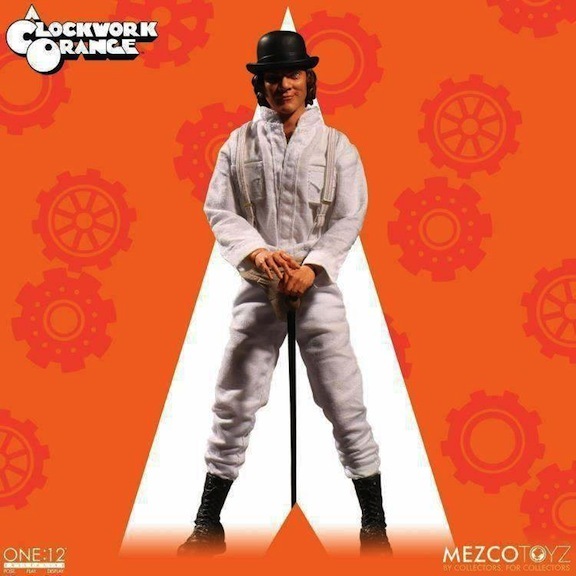 Mezco Toys enshrines the dystopian future of “A Clockwork Orange,” available at Megalopolis. 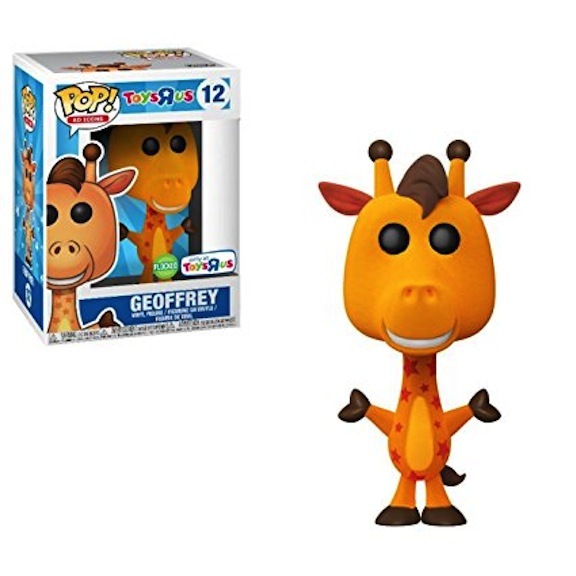 There’s no way of knowing what the future holds for collectors and collectibles. It’s just reassuring to realize that there is a future, whether it’s online or standing in a line.